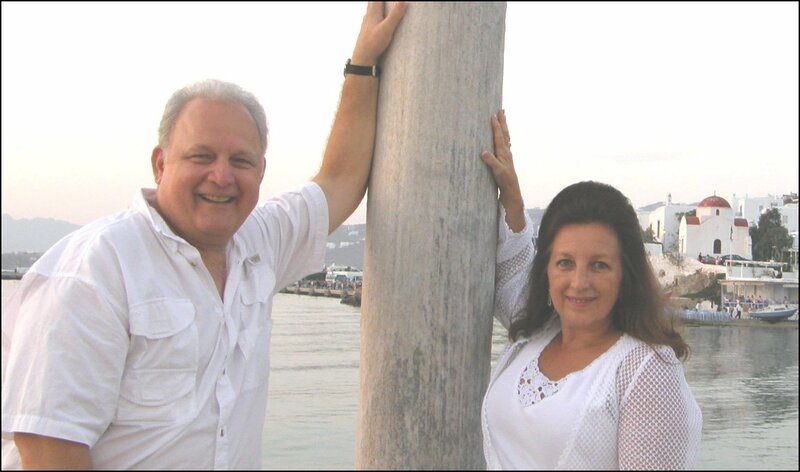 "You Will Build Lifelong Business & Personal Relationships In 15 Minutes* - Guaranteed!" and then you'll be able to build those relationships in 15 minutes. Perfect. Life IS that simple. Gotta have a positive outlook. If you don't eliminate the negative, you'll never have success or happiness. For sure, latch onto the affirmative. And stay the heck away from Mr. In-Between. The #1 tool that will train you to naturally accentuate the positive in your life and eliminate the negative ... is my new book, "Powerful Networking Secrets!" Ninety minutes from now - and for less than 30 bucks - you will have learned the most valuable skill of both your business life AND your personal life. I've been a network marketer for a long time. Rule #1 for a networker is, whatever you do, it better be simple. You can only be successful if you teach a lot of people to do what works. If it isn't simple, they'll never do it. So when you find a skill that is 100% life-changing - and is also simple, easy to learn - THAT is a winner. Which is what you get here today. Recently I talked to a lady for the first time. After a couple minutes, she asked me to mentor her. In 3 minutes, I told her what her strengths were, and what her weaknesses were. When I finished, she said, "Do you have a crystal ball?" We had never met before. I listened to her for just 2 minutes on the phone and knew exactly where to take the conversation. It was fun. It was uplifting for her. She was amazed. And we are building a strong relationship. When you master "Powerful Networking Secrets! ", your life is changed forever. And you can master this technology within days of getting the training. You will find out how to better interact with your mother-in-law, your children, your spouse, your boss. In every aspect of your life, you will gain an understanding that allows you to figure out the hot-points of ANY personality in 2 minutes or less. And gaining that ability will change your life. You'll be happier. You'll understand why people treat you the way they do. I've studied seven books on the 4 personalities. I've attended and listened over and over to dozens of audio trainings. MOST important: I have practical knowledge and experience using this technology with people every day for well over 30 years! When you know these techniques, you will NEVER again hard-sell. You'll never force a decision on anyone. Instead, people will decide entirely on their own that they've GOT to have more of you. They will come to YOU! They'll want your advice. They'll crave your friendship. They'll demand YOU be their partner, in business and in life. and strive to create only the best resources and tools for network marketers. and Colors Chart available immediately after purchase! I know this sounds crazy . . .
Sees the big picture rather than specific facts & figures? Needs specific facts & figures rather than seeing the big picture? A self-starter or needs monitoring? A good promoter or not? Good or poor on follow-up with people? Excellent or poor at strategy? Hates confrontation or loves it? Talks easily or gives out information grudgingly? Thinks they're smarter than you are? Good or poor follow-through on plans? Likely to cause you lot of grief? Rather ride a dirt bike or read a book? Cares about others or "Me first"? Makes gut decisions with NO information? Factual or tends to exaggerate? Makes decisions easily or struggles with them? Easy to get along with or not? Gets taken advantage of by others or not? Sees value in ideas of others, or self-righteous? Life of the party or wallflower? Family is important or not? MUST be in control, or willing to let others make decisions? Accepting of YOU ... or naturally suspicious? Tells big lies or not? Likes people or prefers to be alone? Has happy, well-adjusted kids or not? Struggles the most to build relationships? Hates salespeople and would NEVER become one? Makes decisions 100% based on the money? Accepting of others or judgmental? ... how crucial it is to offer a bunch of bonuses to get people to buy. But "Powerful Networking Secrets!" is a life-changer all by itself. You don't need any darned bonuses. The experts say it's crucial to the sales process to create some urgency for you to order today. Like ... if I told you I'm only going to sell 50 of these books. Or ... if I said I'm only going to sell this book for 9 days. But the fact is, I intend to sell this book the rest of my life. In my humble opinion, it is the MOST valuable self-help book you will ever own. Why? Because the training is SO valuable, and because it is SO easy to make it an automatic part of your everyday life. It's a gem, a classic that will stand the test of time. You'll still be able to order it 20 years down the road. But I PROMISE you this: whenever you get and read "Powerful Networking Secrets!" ... you will wish you had back and could do over every minute of your life prior to getting & reading this book. Whenever you read it, you will regret that you didn't have this information sooner. Whether it's your business success or your personal fulfillment & satisfaction, or both, the results you are getting now are a ghost of what you'll get when you're using these techniques. One More Thing - It's REALLY Important! I am 100% dedicated to your success with this training. So when you buy "Powerful Networking Secrets! ", I will personally coach & mentor you by phone, 3 nights a week. You can be on as many or as few calls as you want. You'll be able to interact live with me and with others learning this technology. Most of all, you will listen in as we call & talk to totally new people and then discuss the keys we have learned to spotting their personality type. You may ask any questions you want. There's no way to put a value on this personal training ... but you get it free, as part of your package. You'll receive the training call schedule by email as soon as you have ordered the ebook. 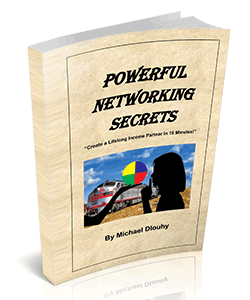 I look forward to reading YOUR success story from using "Powerful Networking Secrets!" Remember Bing Crosby? "Accentuate the positive, eliminate the negative, latch onto the affirmative. And don't mess with Mr. In-Between." "Powerful Networking Secrets" is your #1 tool to live your life that way.